Who’s playing in the fifth-round today? Thatto Heath Crusaders, the lowest-ranked side left in the competition, play host to two-time winners Dewsbury Rams in the fifth round. 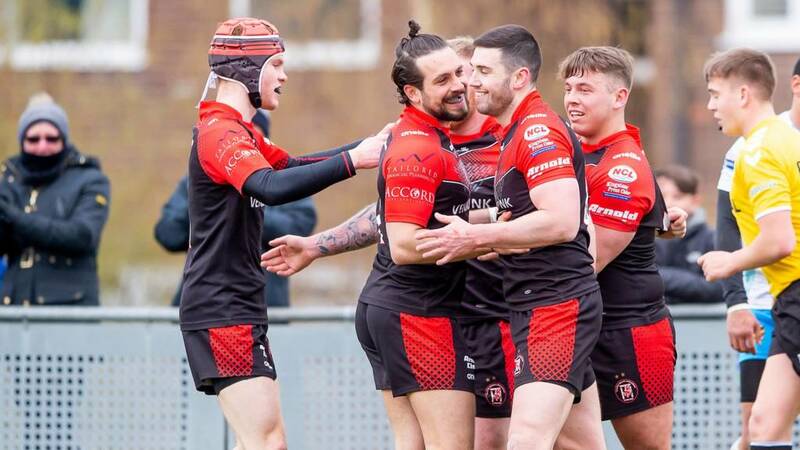 The National Conference League Premier Division side caused an upset in the fourth round, edging out League 1’s North Wales Crusaders to reach this stage becoming the first amateur team to do so since 2016. Championship side Dewsbury, winners in 1912 and 1943, will hope to progress past their amateur opposition to reach the sixth-round for the third time in the last five years. Elsewhere, League One Doncaster RLFC host Championship Batley Bulldogs and 2003 champions Bradford Bulls host Featherstone Rovers in an all-Championship tie. In the games already played this weekend, Championship side Halifax shocked Super League's London Broncos and there was big wins for Leeds Rhinos and Salford Red Devils who will feature in Monday's sixth-round draw. See a full list of results from the fifth round of the Challenge Cup here. Video caption: Bradford Bulls beat Keighley Cougars in the fourth-round to set up today's tie against Featherstone Rovers.Bradford Bulls beat Keighley Cougars in the fourth-round to set up today's tie against Featherstone Rovers. How can I watch the Challenge Cup? The BBC will show games from each round of the Rugby League Challenge Cup live on the BBC Sport website and app and on TV in 2019. One match will be streamed live on the BBC Sport website for the first five rounds of the competition. From the sixth round onwards, coverage switches to BBC One and BBC Two every weekend up to and including the final at Wembley on 24 August. Our coverage continues today as Thatto Heath host Championship side Dewsbury Rams in the fifth round of the competition. The Challenge Cup is a knockout rugby league cup competition held annually since 1896, with the exception of 1915–1919 and 1939–1940. It involves amateur, semi-professional and professional clubs. The teams from the top tier of rugby league, known as the Super League, enter the Cup in the fifth and sixth rounds, with the final of the prestigious competition held at Wembley Stadium. The current holders of the Challenge Cup are Catalan Dragons who defeated Warrington Wolves 20–14 to become the first non-British team to win the competition in its 117-year history. Wigan Warriors are the most successful club in the history of the competition, winning the cup a record 19 times. Fancy giving rugby league a go yourself?